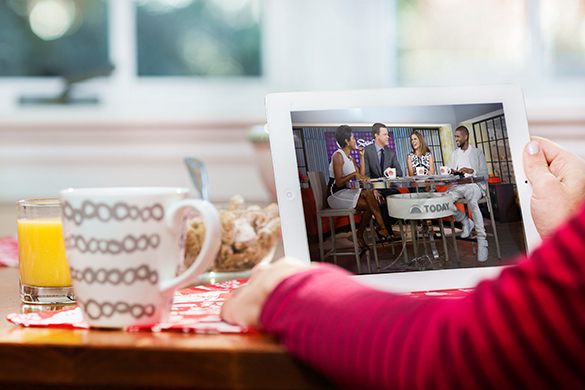 Stream will give users online access to all locally available broadcast TV networks and HBO. Comcast is, by far, the biggest cable TV provider in the country, but its pay-TV numbers is sinking while its Internet user base grows. In an effort to sell some sort of TV service to this increasingly large segment of the market, the folks at Kabletown are testing an online-only live-TV service dubbed Stream. The company quietly announced the test on its corporate blog over the weekend, and doesn’t provide too many details, other than that Stream provides live online access to “about a dozen networks,” but doesn’t name them. Comcast only indicates that users will get all the locally available broadcast networks and that HBO is included — and not as an add-on, but as part of the $15/month price. Given that HBO already charges that much money just for access to the HBO Now streaming service, you have to know that this severely limits the other channels you’ll get. The NY Times reports, and sources tell Consumerist, that HBO will actually be the only pay-TV channel in the Stream lineup at launch. The rest will be stations — ABC, CBS, CW, FOX, NBC, PBS, Telemundo, Univision — that are freely available over the air for anyone with a decent antenna. Users of the new service will have access to on-demand content as well as a cloud-based DVR of some kind. Take away HBO from the channel listings and this effectively means that Stream is offering the same service as Aereo, the streaming TV service that was gutted and left for dead by the U.S. Supreme Court in 2014. Presumably, unlike Aereo, Comcast has permission from the networks involved to carry their signals, especially since Comcast owns NBC and Telemundo. Stream is set to launch in Boston later this summer. Subsequent cities will include Chicago and Seattle (again, no mention of Comcast’s home market of Philadelphia being part of the test group). The plan, says Comcast, is to take it nationwide (or rather everywhere Comcast has service) by early 2016.